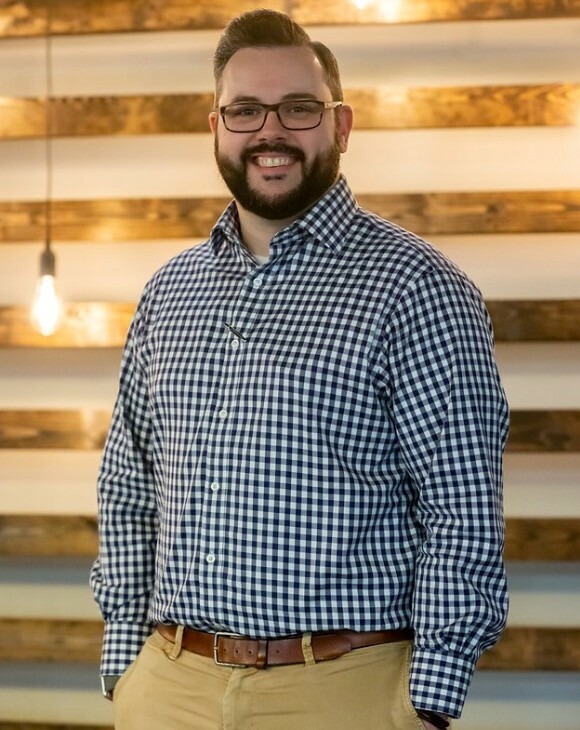 Taylor Keenen has served as the Minister of Music/Worship at FBC Searcy since April of 2017. He started leading worship nearly 20 years ago as a teenager growing up in the Oklahoma City area. His desire as a worship pastor is to preach the gospel through song. Taylor bases his entire ministry around Psalm 115:1, "Not to us, O Lord, not to us, but to your name give glory, for the sake of your steadfast love and your faithfulness." Taylor has a Bachelor of Arts in Music (emphasis on Vocal Performance and a minor in Philosophy) from the University of Arkansas-Fort Smith. He also has an Associate of Arts degree from Oklahoma City Community College. He and his wife Jennifer met while in college at UAFS and were married in May of 2011. They now have two sons, Micaiah James (4) and Easton Taylor (2) and enjoy serving in ministry together as a family. Outside of ministry, Taylor enjoys Oklahoma State athletics, Oklahoma City Thunder basketball, camping/outdoor activities, reading, and a good cup of coffee.